Deals on design resources and goods have become pretty common in recent years, but one I’ve followed right from the start is BundleHunt. They’ve always strived to provide the best resources from top names at an extraordinary value. 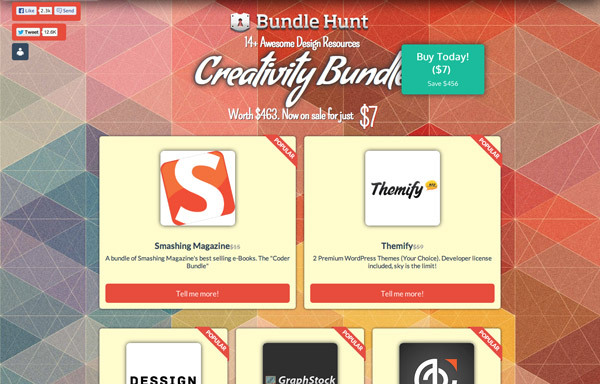 The latest offer from BundleHunt is the Creativity Bundle, a pack of 14+ design goodies including icons, UI sets, ebooks, WordPress themes reduced from a value of $463 by 98%, meaning you can get hold of everything for just $7. Themes – 5 top quality WordPress Themes. eBooks – 4 best selling eBooks. Icons – 200+ high quality icons suitable for web and mobile designs. Graphics – 1 year premium account with Commercial license to a huge collection of design elements. Courses – Unlimited access to one of the best Adobe training courses and resources. 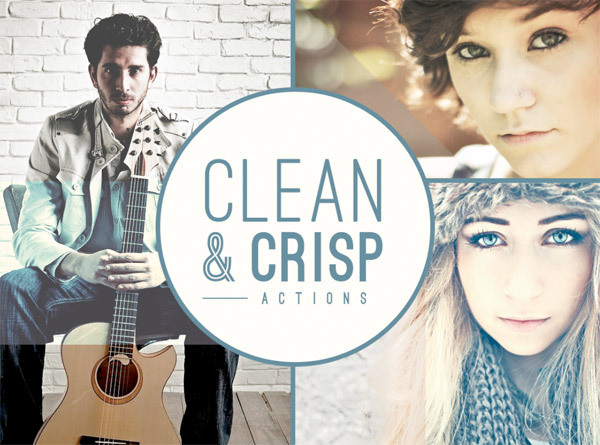 Actions – Clean and crisp photo actions set. 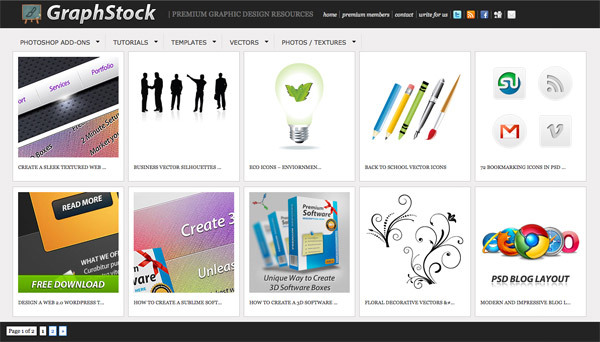 Stock libraries are a wonderful resource for designers. You’re always going to need to get hold of some kind of image or illustration for use in your projects, so who wouldn’t want access to a library of 1000s of files. Save time retouching your photos with a set of Photoshop Actions and add subtle effects with a single click. Being premium quality Actions your original image is left intact, allowing you to fine tune the outcome and customise it to your own preference. 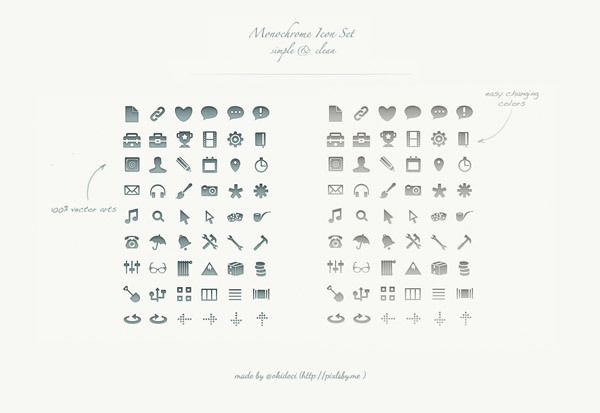 A complete set of icons is crucial for almost any web or UI design. This set of icons in the Creativity Bundle includes over 100 pictograms each available in vector format. The complete bundle has a value of over $463 and is discounted by 98%. Buy it now for $7. What I love about this bundle is even if there’s just one resource that takes your fancy it’s still a great deal.